This is a great review for children ages 3 and up. I was send 3 great items from Betty Lukens. The first item I will tell you about is their Animals of the World Felt Activity Kit which retails for $14.95. Explore the wonders of the fascinating world of animals. From lions and tigers to polar bears and penguins, children take a wide-ranging look at the great diversity of wild animals. Through these elaborately detailed illustrations they visit the animals in their natural habitat. These felt kits helps teach colors, shapes, numbers, days of the week, months of the year, opposites and time. There are many different kits to choose from and we just love animals at our house so I immediately choose this kit. Brendan loves animals just as much as I do. He loves looking up different animals on his computer and finding out about them. There are over 18 different fun books to collect. The next item I was sent for review is their Lets Go on a Safari with Play Board which retails for $16.95. Venture into the wild and encounter many of your favorite exotic animals up close in their natural habitat. These educational felt board stories provide endless hours of creativity and storytelling. They are great as a travel toy or for play time at home, preschool and day care. Flannel board sets are also great resources for home school and special education. Felt manipulative pieces develop hands-on learning and hand-eye coordination. Inspire creativity with a Learning Fun with Felt set today! Lastly is the Under the Sea with Play Board which retails for $16.95. Splash into an under water world where scuba divers explore the colorful creatures of the coral reef or venture into open waters and find magnificent giant mammals and fish. These are great toys for kids and there are no sharp edges. They are a great size and the animals are very life like and look exactly right. I even love playing with these myself. They are so cute I would give these as a gift to any child. My son really liked to play with these and he is 8. This is a great product. 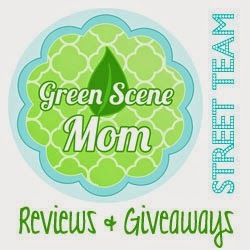 Want to win some great Betty Lukens Toys? I love them all! My two favorites though are the Noah's Ark, and the Three Fairy Tales. I actually really like their Old Testament Bible Stories Felt Activity Book they have on their site.